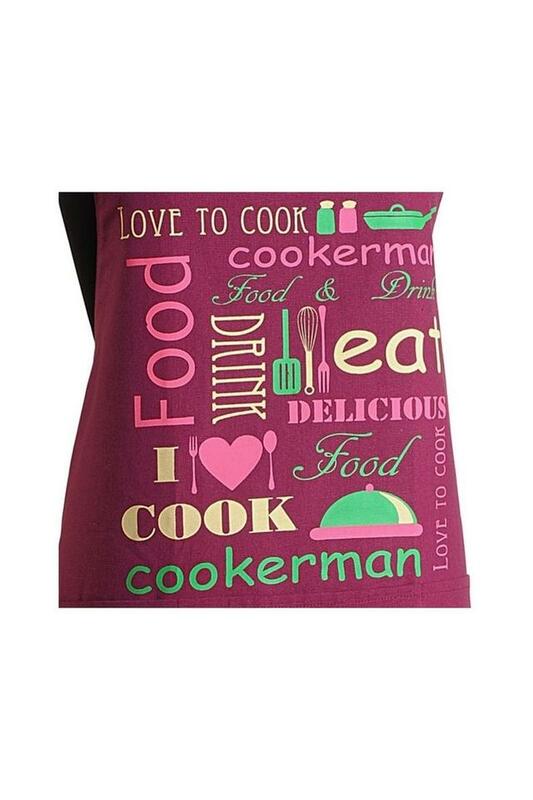 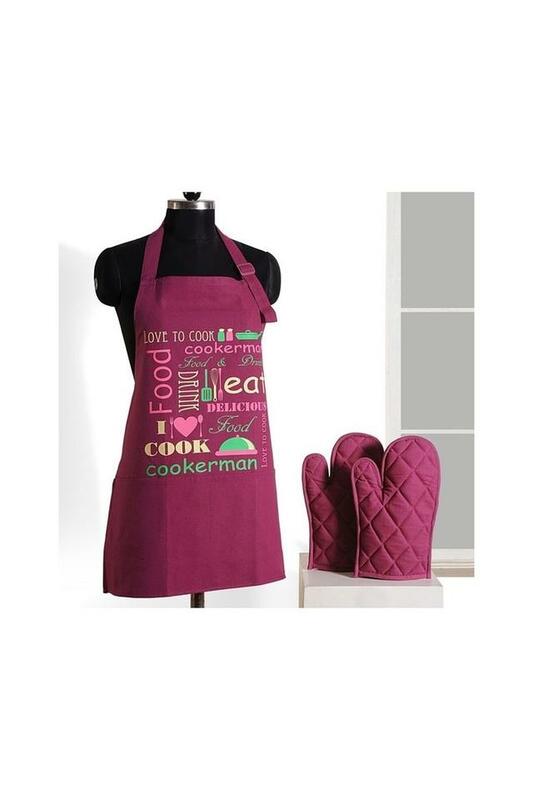 Protect your clothes from kitchen stains with this apron, which comes with a pair of oven mitts. It has been tailored from a premium quality fabric which ensures easy maintenance. Moreover, it also features a printed pattern which elevates the design. 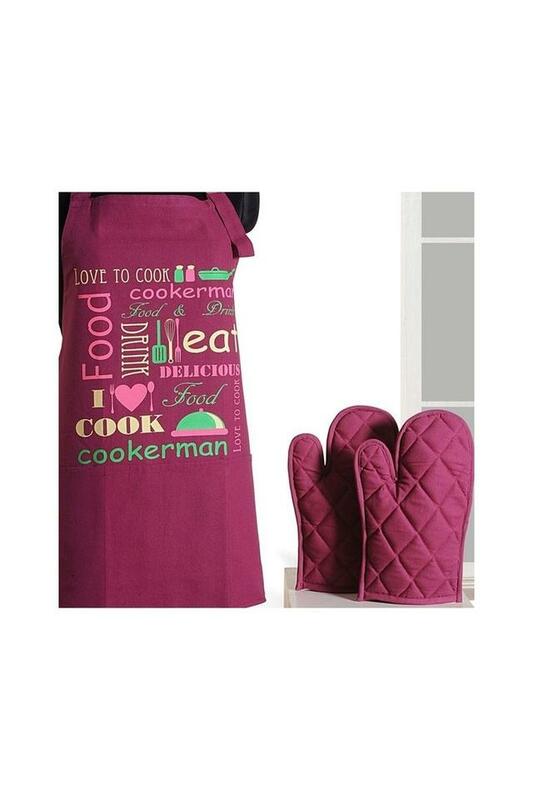 Add style to your kitchen linen collection by using this apron and oven mitts set brought to you by Swayam.